From the Presidential Election to the ups and downs of the stock market, we live in an unstable world. And that’s great for the self-storage industry. Studies have shown that the self-storage industry revolves around general instability – people moving, downsizing, generally being transient. But before you ask “what happens when America gets itself together again?” the fact is that self-storage also works well when times are stable and people accumulate and store material goods. It’s basically one of the few business models that works well in both good times and bad. For years, nobody knew how self-storage would perform in a recession, as the industry was young enough that it had never endured a huge downturn. But the 2008 Great Recession was the ultimate test, and self-storage performed beyond expectations. In fact, in 2015 it had the lowest default rate of any commercial real estate loan type. So whether you predict a boom or bust, self-storage is a strong investment. 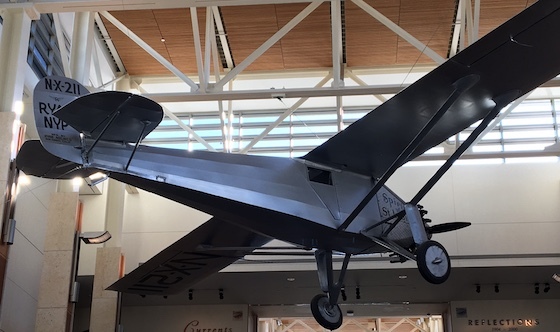 In 1927 Charles Lindbergh flew a plane from New York City to Paris. It was the first time that anyone had successfully accomplished that, and he took incredible risks. He is considered the father of transatlantic travel, and was one of the largest celebrities in U.S. history. However, being a pioneer is a terrible idea in self-storage investing. So why is pioneering so bad? The big money in self-storage has been made by those who follow the basic roadmap of the established portfolio owners and focus on the basic need for storage space. Prior to the 2008 Great Recession, some self-storage owners tried to be pioneers in fancy climate controlled and even wine storage and were destroyed as the “luxury” storage concepts collapsed. A basic 10’ x 10’ space with a light and a roll-up door is as fancy as you need to get. Other “pioneers” have tried to build or buy facilities that have marginal locations with difficult road access and poor visibility. They tell themselves “I’m so clever at marketing that I can make this tough situation work famously”. Of course, the truth is that some self-storage locations should have never been built, and any owner will face the same toxic situation. Another pioneering concept is to buy a self-storage facility that’s in bankruptcy – or in default on its loan – and turn it around. While this has yielded some exceptional buys when all the planets are in alignment, for many investors you are simply inheriting a property that simply has flawed fundamentals. If the property failed for the prior owner, there’s a good probability that it will do the same for you. The only real exceptions are when the property was carrying a ridiculously high debt load (which you can now reduce with a distressed lower price) or extremely poor management (which you can do much better on, normally on cost control and marketing). But make sure that the problem is not a lousy market – that’s something that no owner can fix. 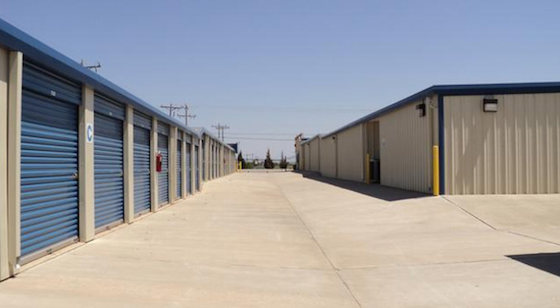 There are some self-storage facilities we’ve seen that are completely illegal. Somebody has taken a commercial building, subdivided it into self-storage units and rented them out. The only problem is that there is no operating permit. This is particularly true in many highly urban areas like San Francisco or New York City. If you have no permit, you have no ability to obtain financing or a future buyer. You simply cannot be a pioneer in operating illegal storage facilities. It’s a dead end proposition, even if you pay all cash for the deal. All it will take is a fire or some other catastrophe and you’ll end up in court for the rest of your life. Being a pioneer can be a great adventure and way to attain fame and fortune – if you are a pilot or Christopher Columbus. But if you’re a legitimate investor in self-storage, then there’s much more money in following the boring, profitable path. 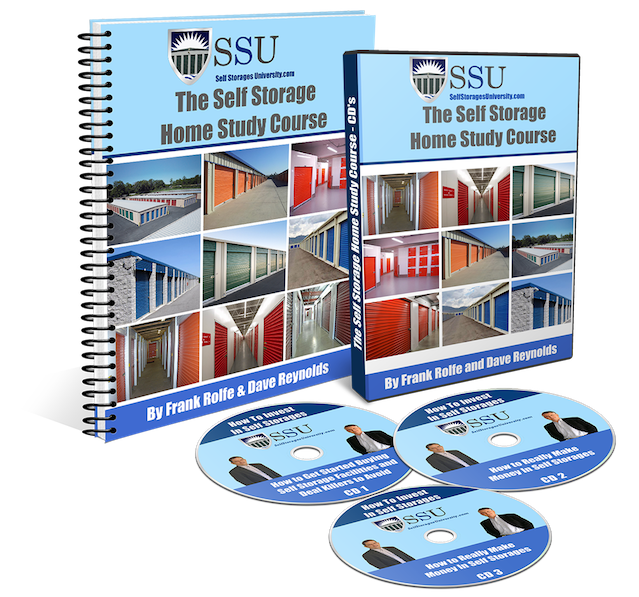 Our Home Study Course is not like anything you have ever listened to or read before. We do not fill it with a bunch of fluff on how your are going to make a million bucks with no money down. We tell you the whole story... the good, the bad, and the sometimes ugly. We live in an extremely litigious world. There are more attorneys in the U.S. than all other countries in the world combined. They are supported by a society that looks on lawsuits as a form of the lottery, and has no moral guilt in claiming whatever it takes to get a financial reward. So how can you best secure your self-storage facility against litigation? The first step is to carry lots of insurance. Since you know that some tenants are simply looking for a chink in your armor, fill in those weak spots with insurance to cover every possible contingency. If your facility burns, you have coverage. If someone slips, falls and breaks their arm, you have coverage. If a tornado blows through, you have coverage. 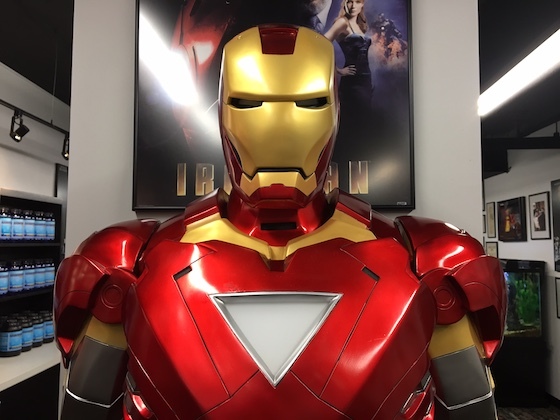 This is the first line of defense for any self-storage owner. In over 20 years of owning real estate, we have never paid a dime out of pocket because we carry a ton of insurance – and we could not live any other way. Insurance is reactionary – you get sued and your insurance steps in and settles. But you’re in even better shape if you fix things before they lead to those insurance claims. Plus, if you have too many claims, you might lose your insurance altogether or have extremely high premiums. Be constantly on the alert for items such as uneven pavement, potholes, electrical issues – anything that could lead to injury or damage to property. Remember the old adage, an ounce of prevention is worth a pound of cure. In today’s litigious world, some self-storage facility owners have more to fear from their employees than they do their tenants. That’s because the U.S. government keeps introducing more and more landmines for employers, such as health care requirements, overtime requirements – the list is endless. To guard against these dangers you need to be fully aware of all rules and regulations, and carry every possible insurance to guard against lawsuits from your manager and other personnel. Don’t just be worried about litigation from those on the outside – the inside is just as scary. It’s a scary world out there, but if you are proactively on alert for danger, carry plenty of insurance, and look at your employees as being as dangerous as your customers, then you should do fine. So what are the commercial loan terms for 2017? We discussed that issue with some of our bankers, and here are the macro terms you can expect to see on your self-storage facility loans this year. The range of down payments on self-storage loans is around 20% to 30%, with an average of 25% down. This is what we call “sensible leverage” as it maintains enough down that you should be fine when your loan comes up for renewal. Those who obtained loans before 2007 might have loans with only 10% down or so, and that’s unrealistic except in unusually frothy lending environments. A 75% LTV rate keeps you out of trouble. Utah’s population has increased by 1.7% over the past year, one of only six states where the growth rate was double the national pace of 0.8%. Utah’s growth has been through internal forces and not as the result of migration. With about 17 births per 1,000 residents, Utah has the highest birth rate in a single year of any state. Meanwhile, household income has increased from $47,934 a year a decade ago to $60,992 today. The 27.1% rise in median household income is the fourth largest of any state. Since self-storage relies upon the accumulation of material possessions, the high rates of wealth are a great sign. Amortization is the length of time it would take, making regularly monthly note payments, to pay the loan off in full. A 30 year amortization is about as long as any bank will go, with some only going out 25 years. The term of the loan is the amount of time until you have to renew the loan or replace it. A ten year term is about right, as it gives you plenty of opportunity to choose the right moment in interest rate cycles to refinance. We advocate starting the refinancing process two years ahead, which effectively gives you one year to find a new loan or, failing that, another year to get the property sold to a different owner. Non-recourse debt is the best kind, as it lets you completely off the hook personally if the property should ever go into default. Non-recourse debt, however, typically requires a loan amount of $1 million or more. Despite some concern about the acceleration of rates around election time, interest rates have now stabilized at the low rate of around 5%. We do not see these going up much in 2017, as the general economy remains weak. Banks will typically make you put money each month into a “reserve” account – this is money that is there for significant capital repairs. They will require that your loan still be manageable after adding in this reserve amount. Most banks prefer that your loan include a facility with around 100 or more units. That’s because banks like the diversity of risk by having a large number of customers, and they also have minimum loan sizes that higher number of units typically feature. Lenders typically want you to have at least 75% occupancy going in. However, you may be able to get a loan despite lower occupancy if they feel you’ve got a solid plan to increase the number of tenants. 75% occupancy is called the “stabilization” rate for most lenders. Although there are successful storage facilities in smaller markets, most lenders are going to want your market to have a population of at least 20,000 or more – but they really prefer a market of 100,000+. Remember that the higher the population, the more potential customers and the higher potential rents. Self-storage lending is extremely attractive in 2017, as it has been for several years now. If you have not applied for a loan in recent times, you will find that lenders are extremely interested in self-storage lending. One key reason is that self-storage had the lowest loan default rate in the U.S. last year. Self-storage facilities are rated by two key metrics: 1) cap rate and 2) cash-on-cash return. So how do you calculate these? “Cap rate” is slang for “capitalization rate”, which is basically a ratio between the net income and the price of the property. It’s easiest to think of it as a fraction with the top being the net income from the property and the bottom the total cost of the deal. For example, a self-storage facility that has net income of $70,000 per year and a total price of $700,000 has a cap rate of $70,000 divided by $700,000 which equals 10%. When you are buying a property, you want to pay as high a cap rate as possible, and when you sell you want the cap rate to be as low. Cash-on-cash return is essentially the amount of cash that is left over after your note payment, which is typically tied to your down payment. For example, if that same property has a net income of $70,000 and a 5% interest rate on a 80% loan of $560,000, then the cash yielded would be $70,000 minus $28,000 which equals $42,000. If you put down $140,000, it would be a cash-on-cash return of 30%. When buying, you want a cash-on-cash return as high as possible, and the reverse when you are selling. Just as sports players are rated by such metrics as RBI, self-storage facilities are rated typically be cap rates and cash-on-cash returns. Are There Any Ways To Improve On Self-Storage Design? Has self-storage reached its highest level of design? Is there a design revolution ahead? That’s a good question. There’s not much you can do with a steel roll-up door, a concrete floor and the necessity of car and truck access. It seems that much of the radical design work we see on self-storage construction is more geared towards trying to fit enough units on the property to make the numbers work, rather than necessarily give the tenants what they want. Multi-story facilities are not born from consumer demand but development cost realities. We don’t see many changes on the horizon – certainly nothing that hasn’t been seen before. But you have to remember that the industry is very young, dating only back to the 1960s. As demand changes over time, the industry will morph into that product type. But we don’t see any radical changes on the horizon for as far as the eye can see. And that’s a great thing. Think of the cell phone companies that have to constantly re-invent themselves or lose their customers. Personally, we like it boring.